bkm design working group of the TransitBuddy project (for details see here: http://www2.ffg.at/verkehr/projekte.php?id=846&lang=de&browse=programm). TransitBuddy is a mobile platform that should help seniors navigating through unknown train stations plus caring their luggage. In this first field trial we used one mock-up of the TranistBuddy in an exploratory study with 3 participants and drove around (remote-controlled) in one building of TU Wien. We wanted to get inspirations for the design, following the “human action and experience approach” by Ylva Fernaeus. The observational and interview data we could gather is really insightful and based on it the colleagues from bkm design working group are now developing different conceptual design for the TransitBuddy. I am curious if this amount of research opportunities continues like that in Vienna :-), until now it is just great and thanks to my colleague Markus Bader who offered me this specific opportunity! Last week I gave a lecture on “Usabililty, User Experience and Social Acceptance in HRI” at the INTRO Joint Workshop and Seminar, which was hosted by Robosoft at Bidart, France. 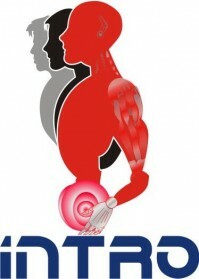 The INTRO project is a 4-year EU-funded Initial Training Network (ITN) in the Marie-Curie People Programme (FP7), for more details see introbotics.eu. This was the last workshop and the PhD students who will soon finish their studies (watch out academia and industry, some really brilliant people will search for position soon!) presented their results. It was really interesting and the demos of the robots were impressive as well. So the troubles with getting to France and leaving France again (air traffic control strike) were definitely out-balanced by the content of the workshop, as well as by the fact that we spent lunch breaks at the atlantic beach :-). Plus food in France is just great! End of May I joined the review meeting for the HOBBIT project in Brussels. 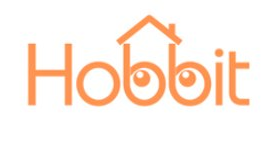 HOBBIT is an EU-project, which is coordinated by ACIN and which started in Nov 2011.The goal of the project is to develop a socially assistive robot that helps seniors and old people at home (have a look here for details http://hobbit.acin.tuwien.ac.at/). The interesting aspect is that my colleagues Andreas Huber and Lara Lammer developed together with Markus Vincze the Mutual Care interaction concept, which aims at establishing a higher social acceptance of the robot and bonding towards the robot. The idea is if the robot does not only support the senior, but the senior als has to take care for the robot a better helper/helpee relationship can be established wich fosters HRI. At the review results from the first lab trials were presented which were supportive for the Mutual Care concept. The next step is to prepare field trials to explore the concept for long-term – this will be really exciting!